Traditionally at Muslim weddings, the men and women remain separate during the marriage ceremony and often the reception. 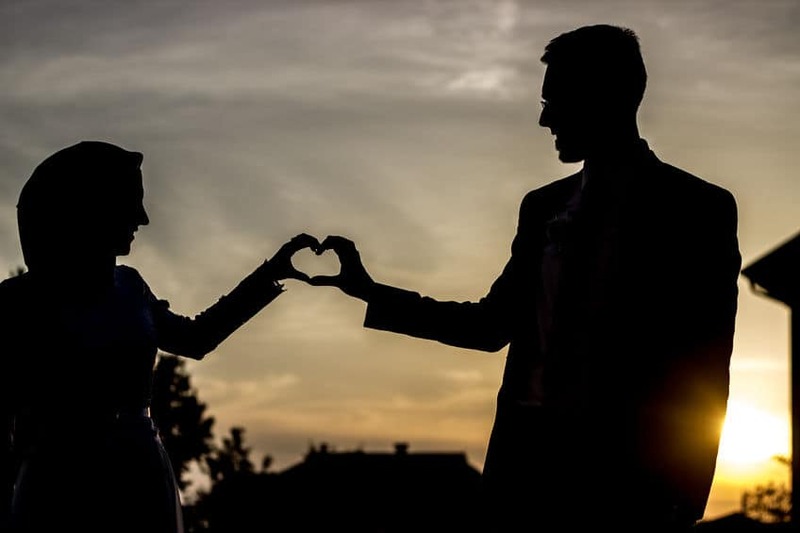 In order for the mehar; the formal marriage contract; to be accepted during the nikah; marriage contract ceremony; many brides send two witnesses as their representatives for the marriage and to formally accept the marriage terms. These are long-standing traditions. Most Muslim weddings still adhere to this today out of respect for the religion and the parties involved. Religious rituals live streaming is a great way for friends and family to be a part of this. In a modern world where technology is omnipresent, new technology is modernising the Muslim nikah without causing disrespect to the religion or families who are marrying each other. Live streaming of the nikah ceremony to the women means the family is not disrespecting any beliefs or traditions. This technology is not widely practiced in the Islamic community however, there are instances where some are opting to use technology. Tradition says that the men aren’t allowed to see the women, but the women can in fact see the men. This means there is the possibility to arrange for the male part of the ceremony to be streamed live to where the bride and other women are waiting. Although, this is a relatively new concept for Muslim weddings, it does facilitate all parties. This method ensures involvement in the special ceremony that binds the bride and groom together. Religious rituals live streaming in your marriage ceremony allows the bride and her female relatives a first-hand experience of the nikah ceremony, rather than through the bride’s representatives can give the wedding a whole new dimension and create an even stronger bond between families on the day. With any marriage, it is imperative to keep with the important traditions, to ensure your marriage gets the right start. By maintaining the traditions of keeping men and women separate during the ceremony, but having a live stream to the female congregation, will still be upholding the sanctions of marriage and the Qur’an. The concept of live streaming, definitely isn’t to take away from any of the religious traditions or create an invasion. Religious ritual live streaming simply solidifies the close connection between the bride, groom and their families. We have been lucky enough to be a part of several Muslim weddings. We successfully facilitated live streaming of the ceremony, whilst remaining sensitive to the traditions of an Islamic wedding. Whether couples decide to marry at a mosque, their family home or a hired venue, we can help to facilitate live streaming on the day. If you would like to know more about live streaming for your wedding, we would be happy to talk you. We offer a no obligation discuss the process and your personal requirements for the day.